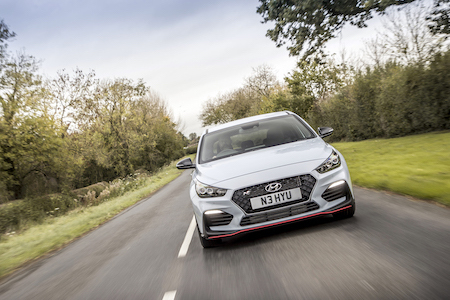 Hyundai i30N DRIVETRIBE Review - A future Classic? Hyundai’s reputation for making quality cars has come on leaps and bounds in recent years. The Korean brand's 'i' range of family friendly cars has been praised for being affordable and doing everything you could reasonably need a regular car to do. However, they've never produced anything that really stirred the soul of the petrolhead. Of course there was the Hyundai Coupe, but it never set the world alight. So has Hyundai finally got in touch with its emotions with the i30N? This had now jumped from a car that would slide under my radar to a car that was on my must-drive list. Luckily, that opportunity arose when I managed to get my hands on one for the weekend. I'll get my overall opinion on the car out of the way now – it's fantastic. It surpassed every single one of my expectations. But I want to delve into whether the Hyundai i30N has the potential to be a future classic. What makes a future classic anyway? This is a more exclusive club than the 'brilliant hot hatch' club. The future classic is quite hard to define, but it's a car that has the potential to trigger the nostalgic feelings in about 15 years' time. It also has to have that element of not being the obvious choice. I see people predicting future classics like the BMW M2 which isn't playing the game. 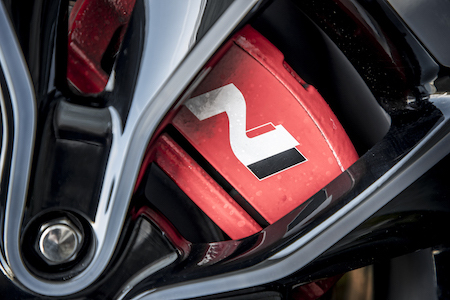 Obviously the M2 is going to be a future classic – but it's too mainstream a choice. Identifying a future classic should be a little bit of a challenge. You need to almost be looking for a future hidden gem. So, my aim is to find out if the Hyundai i30N has the potential ability to be one of those hidden gems that petrolheads love to talk about and predict. The car was delivered to my flat in East London which was no place to put this car to the test, so I promptly called my grandma in Cardiff and told her I'd be coming over to stay for the weekend. I hung up the phone before she had a chance to say no. The twisting Welsh roads of South Wales are the perfect location to see what the i30N is capable of. My initial thoughts as I approached the car was that the exterior was spot on. It looks aggressive without jumping to the ridiculous. There's no huge unnecessary wing or massive front splitter, just some nice subtle details that hint that there is more to this hatchback than meets the eye. Once in the cockpit my eyes were immediately drawn to two buttons. On the left of the steering wheel we have the light blue 'drive mode' button. This let me customise all aspects of the driving performance, right down to the exhaust note. This is an immediate massive win for Hyundai. Seeing as the i30N is a good few grand less than its rivals, the Focus RS and Civic Type R, it doesn't skimp on the tech side. Being a cheaper option than the rivals is a massive tick for future classic status. After playing with the settings for a while I realised that if I press the chequered flag button, it turns everything into mental mode. This is now my favourite button in life. You hear an immediate growl from the exhaust and the suspension enters into 'hard mode.' You are now aware that this is a serious piece of kit. After chuckling with glee for a good 10 mins, I came to the realisation that the whole interior is just a bloody lovely place to be. 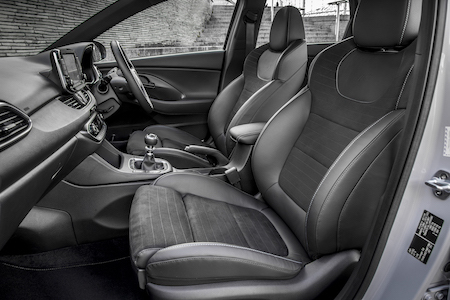 You have heated seats, a heated steering wheel and a nice easy to use central display. Everything had a sense of quality that I wasn't really expecting. My first experience driving the i30N was navigating my way out of London which is no easy feat at the best of times. Out of pure excitement I refused to take the car out of full race mode because I'm a child. This was a little to my detriment, because it's fair to say the ride is quite firm, but that is to be expected when it was developed as a proper trackday capable car. Slipping it into 'Eco' mode made the ride acceptable, but this isn't a car for being 'eco' in. The i30N had impressed me, but not wowed me… until I had a chance to open it up. The burbles from the exhaust through London were entertaining, but when I hit an empty lane and kept it in third gear it hit a new level. The pull took me by surprise and all the praise I'd heard made sense. I'd gone from 30mph to (for legal purposes, let's say) 70mph in the blink of an eye. As if I wasn't enjoying myself enough, the car threw in another little party trick. It sensed that I was accelerating with a bit more 'gusto' than joining a motorway and some Formula One style gear shift lights came out of nowhere. These are now firmly on the list of things I didn't know I needed but now can't live without. I'd had some fun in straight lines and things were looking promising. But this isn't a straight-line-hero muscle car, it's a hot hatch. It needs to paint that smile on your face in the countryside. It needs to excel on the roads where hot hatches have been batting above their weight for decades. If I'm to consider the i30N a future classic, it would need to excel on the roads that made me fall in love with hot hatches and driving full stop. Before I tackled the Welsh mountain roads, I stopped for a bite to eat in Gloucester to let me collect my thoughts and prepare for what promised to be an exciting ride. What’s the perfect light meal to get me prepared for some twisty welsh roads? That’s right, a massive chicken and bacon pie with three scoops of mash and peas soaked in gravy. This was a big mistake. As I hate to waste food, I ate every single bit of it, including the gravy, which is something the i30N would punish me for later on. As I was eating by myself, there was no one judging me which is a dangerous game. I waddled back to the car like I was nine months pregnant, cursing myself for mopping up the rest of the gravy with a piece of bread. I managed to slide myself back in the car and set off. I'm not going to lie, I was a little sleepy after eating an inhumane amount of food but the Hyundai woke me up pretty quickly. I put everything into race mode again, had the display set to show me g-force, torque, turbo and power ready for the first sign of a great road. 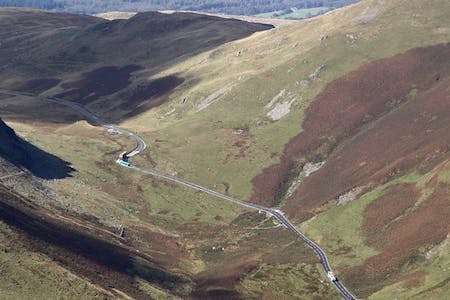 If you haven't driven around the Brecon Beacons and in particular the A470, I can't recommend it enough. You get Lord of the Rings standard of scenery with roads that feel like the Nurburgring. What more could you want? It didn't take me long to realise that the i30N was perfectly at home here. I was really pushing the car on roads that had become second nature to me and it wasn't even slightly phased. If your confidence is high enough to enter some corners with more speed than your talent, don't worry, the grip levels will cradle you safely around the corner without drama. The handling was the final piece of the jigsaw. 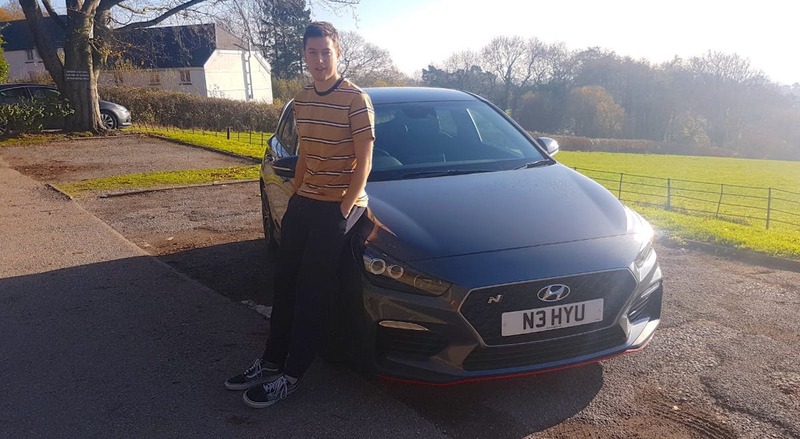 This Hyundai i30N ticks all the boxes you could want from a hot hatch, let alone a hot hatch in the lower end of the price range. I spent hours driving those roads, just changing gear as often as possible, letting the automatic rev-matching blip the throttle letting out some magical pops and bangs from the exhaust. Of all the cars I've driven on those south Welsh roads, I can't remember a more well-rounded one. The performance is all there, but what starts to make this car more memorable and a strong candidate for a future classic are the small touches that make it addictive to drive. The gear shift lights, the oh so fantastic pops and bangs from the exhaust and big chunky buttons that give you all that hooliganism with one click. In 15 years' time, when this car enters the potential classic status, I can guarantee that the petrolheads will be waxing lyrical about how this is basically a low budget M-division car, having been developed by the ex-M-division head. It will be known as the first car to make Hyundai an attractive car to the car enthusiasts. It'll be one of one of the swan songs of the manual gearboxes and a proper hooligans car. 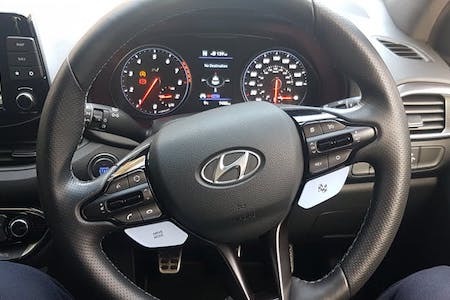 All these factors no matter how small now, will build up over the years and be embellished as we just love to do and leave the Hyundai i30N as a nailed on future classic.